Pretty happy with the way this one turned out although I got excited and rushed part of it, so there's a smudge under the screen. I suppose I could disassemble it and fix that though. Wow! NICE job man... what did that cost to make? 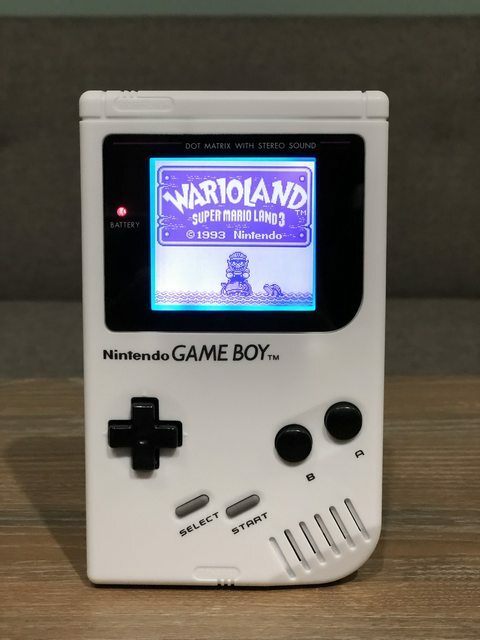 I already had the gameboy, so for the backlight, bivert chip, new shell and buttons is was about $35 shipped from handheld lengend. Awesome job, looks great! 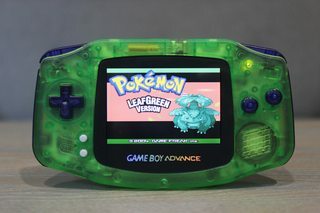 I still want to do something like this with my original Game Boy Advance. Neat! Lately it hasn't been a practical thing for me to do since I play GBA / GBC / GB games on my TV 100% of the time via the Super Game Boy and Game Boy Player, but it would be fun to try it out.